Home/Uncategorized/Focus Groups or In-Depth Interviews? There comes a point in every business when you know that you need feedback on a product, process, idea, creative or a campaign. Whether it’s from customers, employees, or another group of stakeholders, you want to make sure you receive the kind of qualitative data that is not only useful but actionable. Two of the most common ways to solicit qualitative feedback and recommendations are Focus Groups and In-Depth Interviews (IDIs). The kind of feedback you are seeking will help you decide which of these methods to use. IDIs are one-on-one interviews. Conducted confidentially, IDIs are a great option if sensitive topics – personnel feedback, program structure, or organizational functions – are being discussed. This method provides interviewees an opportunity to go deep into topics, and share thoughts and information that they may not feel comfortable talking about in a group setting. Additionally, IDIs are great for executives, leaders, subject matter experts and industry leaders. The intimacy of the interview and the flexibility for scheduling allows IDIs to work better than Focus Groups for this audience. One of the advantages to IDIs is that they can be significantly less expensive than Focus Groups, and require fewer logistics. Additionally, most can even be completed over the phone and sometimes individual feedback can provide more valuable insights without group influence. 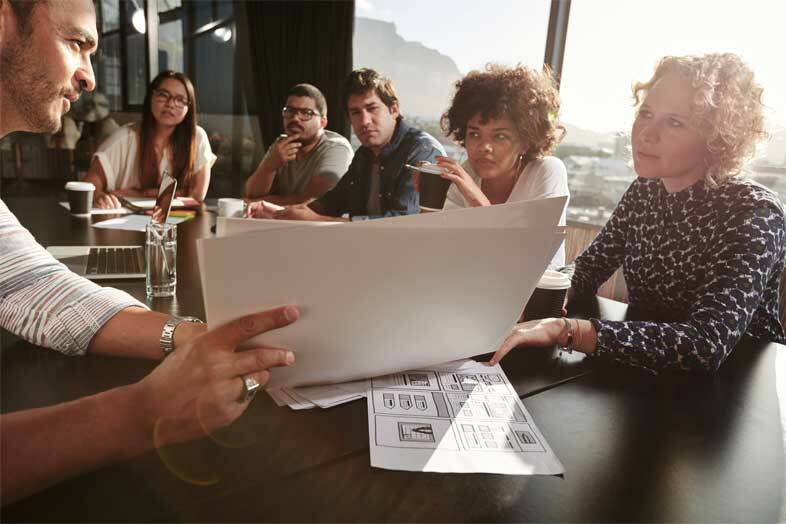 Focus Groups, however, are great for gathering feedback resulting from group brainstorming and problem-solving as well as providing a larger sample of feedback and opinions. Often, focus groups are a good structure when you are explore consensus, looking to draw out a point/counterpoint conversation or even looking to talk about broad issues that require a more robust discussion. They can provide really creative results and new insights into organizational processes, messaging and ad campaigns, product testing and more. A drawback of Focus Groups is the required coordination and costs, especially if travel for participants is involved. Online Focus Groups are an option, especially for testing messages and visuals, but can create restrictions in terms of engagement and some technology barriers. For some projects, a combination of IDIs and focus groups may help focus research and get to both big picture feedback, thoughts, opinions as well as individualized interest and perspectives. Whichever method is best for you, there are a couple key factors to ensure you collect useful, informative data: Clear objectives and a skilled moderator. Start With Clear Research Objectives. Having clear objectives is crucial to obtaining useful information. Your objective can be as simple as “To hear from customers what works and what doesn’t work about this process so we can improve,” or “To learn from potential customers what messages they respond to.” Before deciding to conduct any data gathering, it is so important to know why undertaking this effort is necessary. Hire a skilled moderator. Perhaps the most important element to successfully collecting qualitative data is to have a qualified, skilled moderator. The skilled moderator makes participants comfortable – regardless of process – so that they feel like their comments are valued, yet confidential. Additionally, the moderator, as an independent resource, seeks to build dialogue and feedback and collect information. Moderators should never be part of the creative or client team. A skilled moderator will also know how and where to probe to ensure you receive the most useful feedback, always with an eye on your objectives. To learn more about gathering qualitative data, please contact Anthology Communications to share your needs and ideas, and we can talk you through our process, and how it may fit your needs.